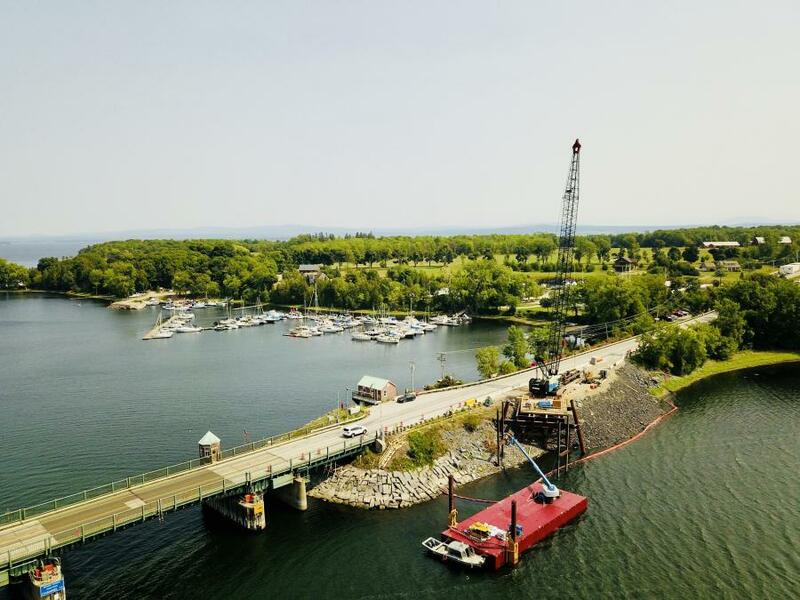 Contractors are working to finish a temporary drawbridge linking two islands on Lake Champlain with a race through the winter to have the new bridge fully functioning in time for the first seasonal opening of the bridge May 15. 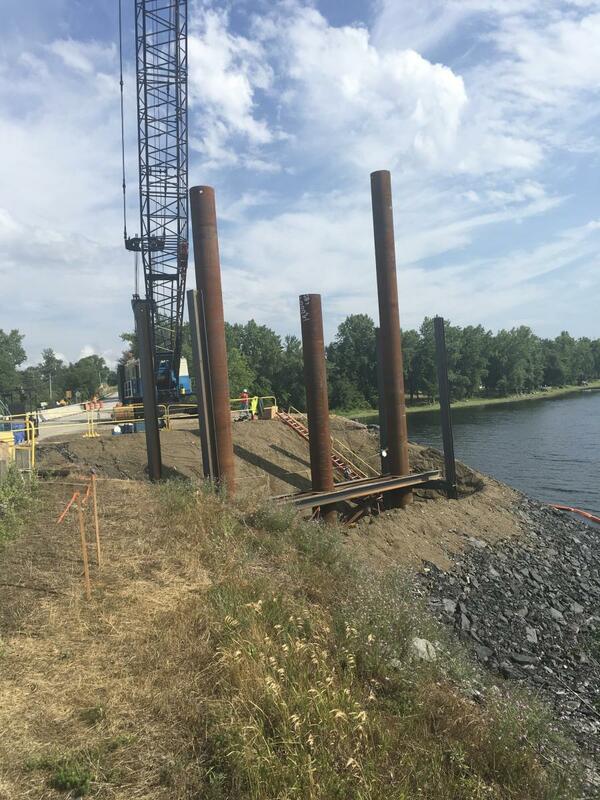 Work began on the North Hero-Grand Isle Bridge in Vermont earlier this summer. 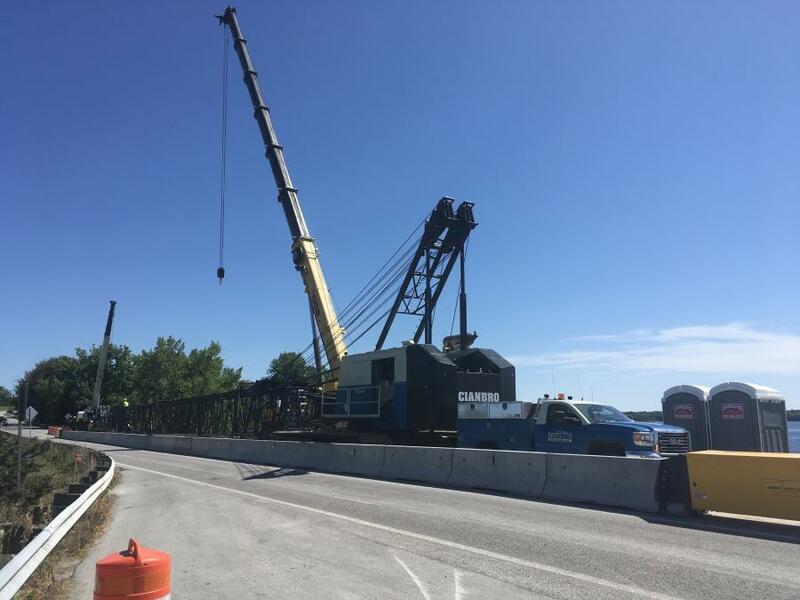 In addition to the temporary drawbridge the $60 million project includes demolishing the existing drawbridge and replacing it with a new drawbridge. The existing bridge was built in 1953 and is the main road through the islands, with 3,000 cars using it daily during the off-season and double that number in the summer and fall months. It also provides the only unrestricted access for boats, and is the only route big sailboats can get through. The bridge itself is in fine physical condition, Sumner said. Were that to happen, the state could face a $25,000 fine every time it failed to open. That's why the state can't afford it to happen. That expectation would apply for any bridge. Currently, two large cranes are on site, one at each end of the temporary bridge causeway. The cranes will build the temporary bridge from each end, then meet in the middle. There also are excavators and trucks on site to complete the infill portion of the project. The new replacement drawbridge will be located in the same spot as the existing bridge. Otherwise, contractors would have to build a new causeway which would have a permanent impact on Lake Champlain. Building in the same location also saves on the permitting process, which saves money. Likewise, because the temporary bridge has a shorter lifespan, the permitting process also is less involved. 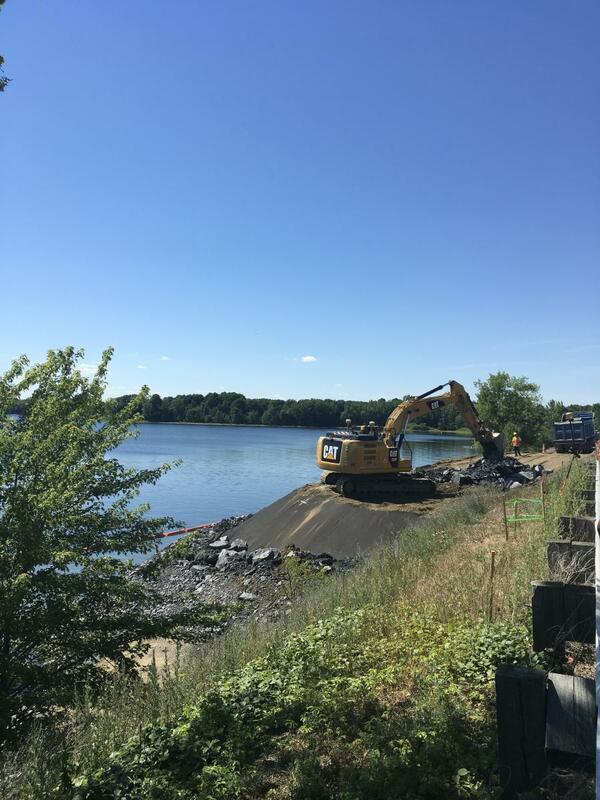 The temporary bridge is being constructed on piles, some driven into the rock ledge under the mucky lake bottom. Steel will be used for the bridge foundation with a very thick wood deck placed over the steel. The completion date is set for the 2022, but the new drawbridge is expected to be substantially complete in the winter of 2021. Contractors will come back in spring of 2022 to make sure new vegetation is thriving, get the field office off the site and demobilize.